The RV’s broken axle didn’t seem to be the only part under repair. My softened heart and appreciation for this trip, with all of its up and downs, began affecting my thoughts and words. Amazing change for a girl who swears the Ritz Carlton club level is the standard for family travel. What hadn’t changed was my love for tours. 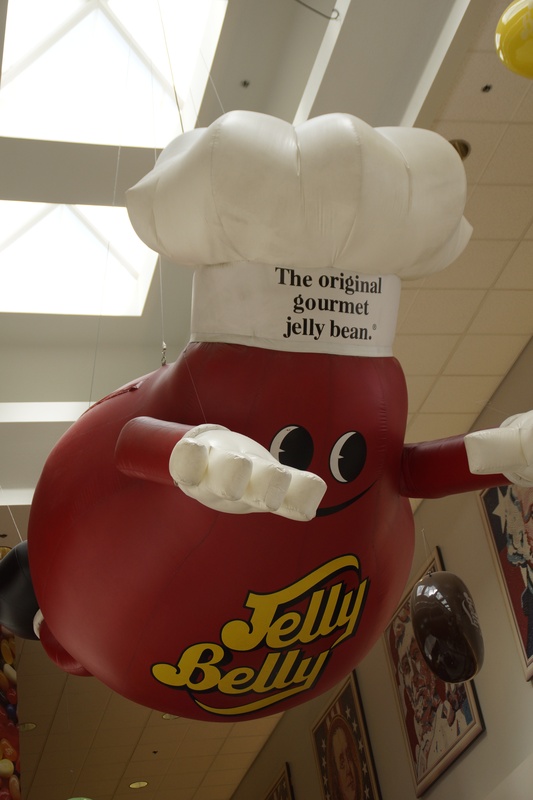 When I saw the Jelly Belly manufacturing facility on our way to pick up the RV, I insisted on the sweet detour. 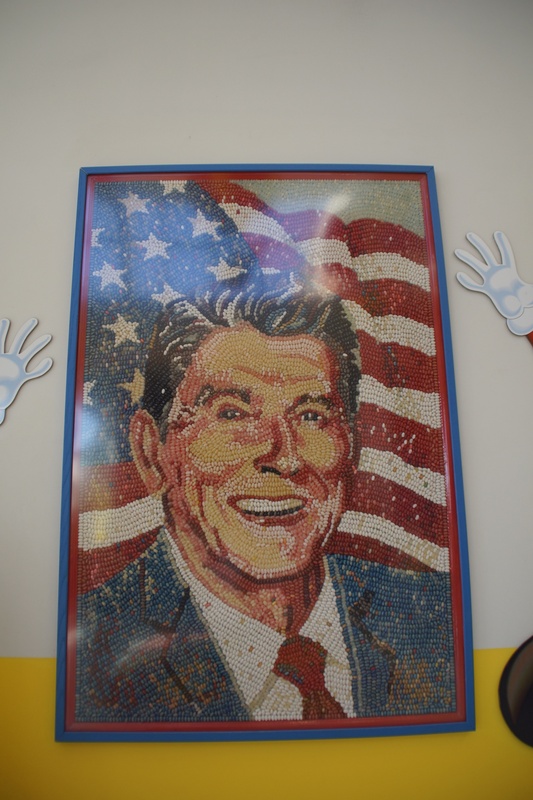 It might not have been worth the two-hour wait in line to see behind-the-scenes, but the chewy rainbow confections sure did make the drive more fun back to the repair lot. Truly, when we picked up the fifth-wheel from the RV repair lot, I felt complete. Corny, I know. But I was never so happy to climb back into my bed, slip between my sheets, and use the towels in my bathroom. And climb into bed I did right after we drove nearly four hours in a downpour from Manteca to Redding, California, got situated in our campsite, and tossed out all the spoiled food from the freezer/fridge. I’d done a fair amount of refrigerator clean out before dropping the rig off for repair, but remember, we thought it’d only be a few days until we picked it back up again. Not ten! Altogether, the broken axle sidelined us for 18 days. Now, we were back on track and I was at home. On the road. In Redding, CA. 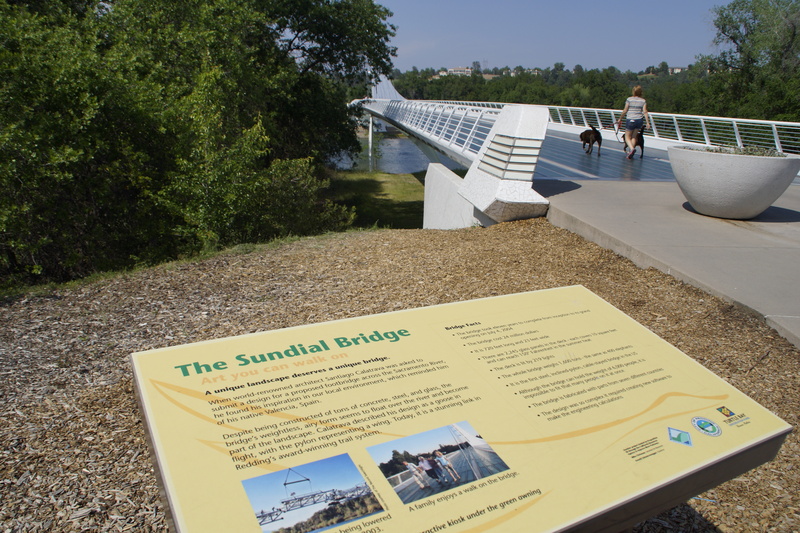 Redding is home to the Sundial Bridge. A glass-bottomed footbridge designed to look and act like a sundial. Nice stroll and we ate some time off of the clock watching a dog retrieve sticks his owner pitched into the water. 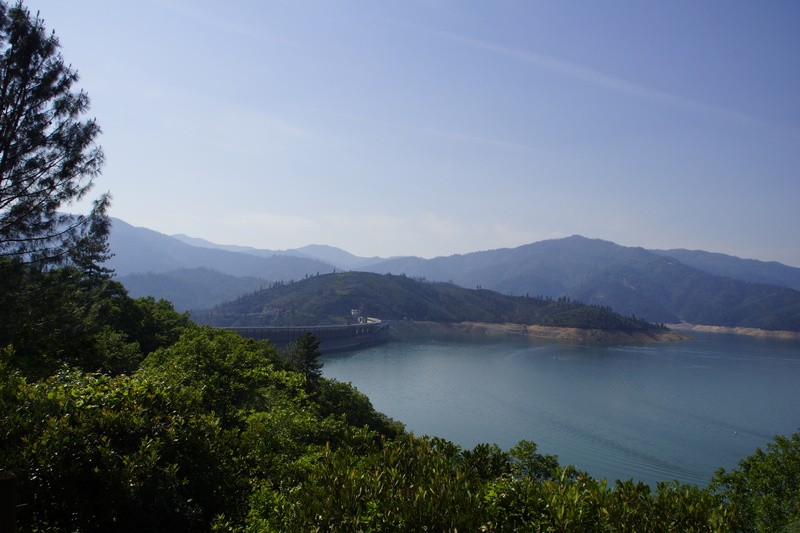 Then we took a short drive out to Shasta Dam. Mountain setting, pine trees, and water, unique in color. The hills surrounding the lake contain iron and when the mineral seeps into the soil bed, swirls of turquoise blue and teal green appear on the surface. Beautiful and so unlike the water pictures we’d received earlier that week from our contractor working on our ranch home remodel. We’d chosen to completely gut and remodel the small, existing home and not overbuild and sink tons of money into new construction. The home was built in 1981 and remodels always unearth unexpected expenses. 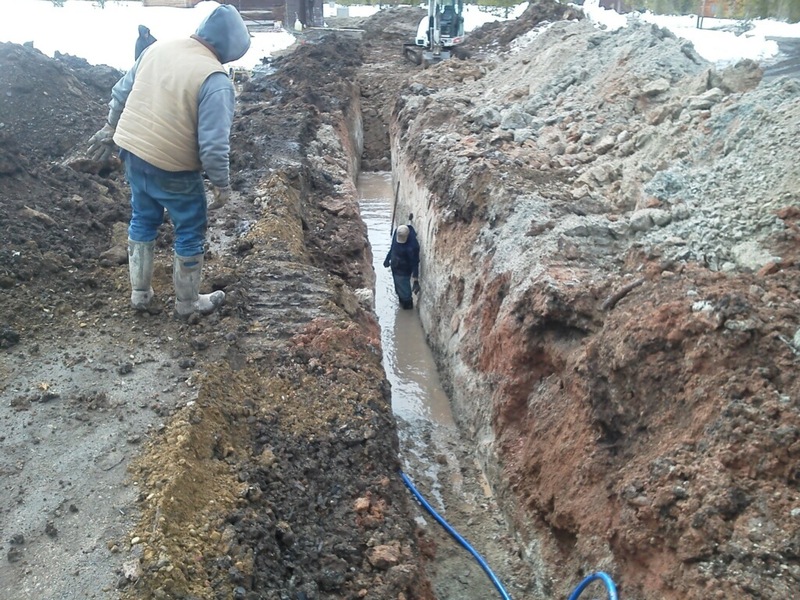 We hadn’t banked on re-trenching and replacing nearly 100 yards of water line nor had we budgeted to rip out the old septic tank and completely replace it too. But that’s exactly what would need to happen if I ever planned to run water into my brand new bathtub or flush a brand new toilet in the house. Water. Water. Water. First, the drowned Denver home. 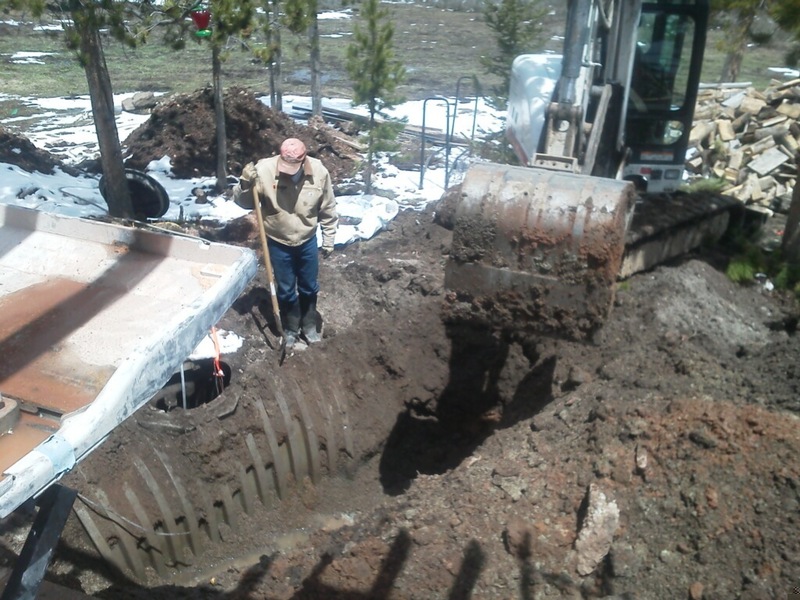 Now, 30 year-old plastic pipes at the mountain ranch were leaking our life source into the ground, and the septic tank turned in its retirement notice as well. Help! I turned to my favorite phone app, Yelp, for advice. It suggested a craft brew pub! You see why it’s my favorite app? Located in a retail shopping center, the small establishment extended their end unit position with a small, outdoor patio. We found four plastic chairs and a glass table next to a six-foot tall chain link fence covered in vines. The kids funneled ice-cold tap water while we sampled the thicker beverage offerings. Moments after settling into our patio chairs, voices rang out behind us placing orders for Grande mochas, Venti iced this or that, Panini sandwiches, and drip coffee orders. Beyond the fence and vines at our backs stood the Starbucks drive-thru menu, speaker, and a steady stream of addicts waiting their turn to order custom elixirs. Can you afford those empty calories? Haven’t you already been in the drive thru today? Your high-maintenance coffee order could be a strong indicator as to why you’re single. That’ll be $4.50 and 25 minutes on the treadmill. He went on and on until our glasses were empty and our bodies relaxed. Laughter was just what the doctor ordered. John was fretting about finances and we both began questioning if being away from the remodel project was a good idea. As if being in Colorado would’ve changed anything. 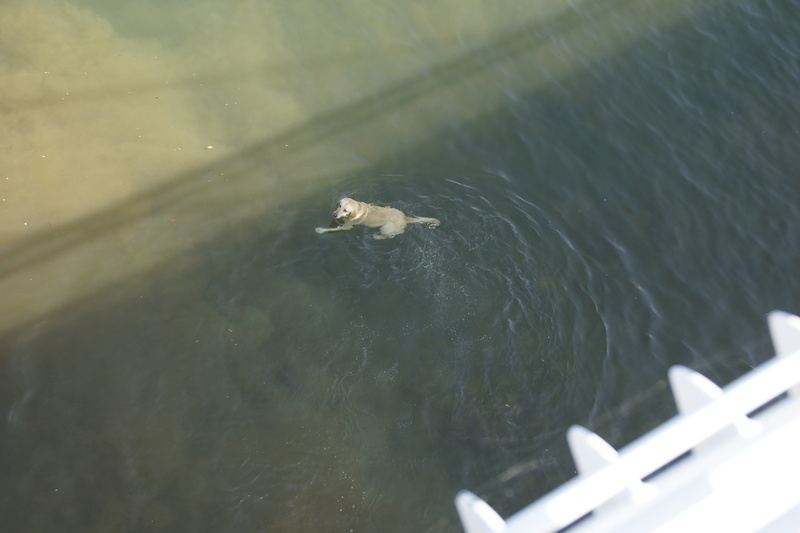 Our trusty contractor, we knew, would handle the details while keeping an eye on the soggy bottom line. Besides, there was reason to celebrate. Easter services and the empty tomb! In one short travel day we’d enter Oregon and respond, He is Risen Indeed! This entry was posted in Fifth-Wheel, Purpose, Ranch living, RV, RVing, Travel and tagged California, purpose, Ranch, Routt County, RV, Steamboat Springs, travel by Natalie Lewis. Bookmark the permalink. Mike and I had to LOL about John’s comments 🙂 Did you read Jesus Calling for June 17 (today)? It is about laughter which ” lightens our load ” and lifts our heart to heaven. Enjoy some more laughter with your hubby! Yes, more plans to laugh!